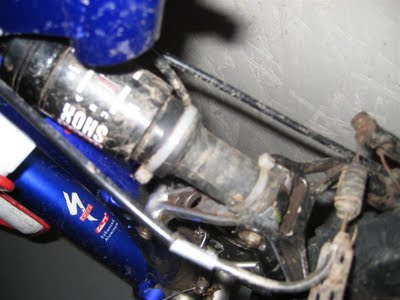 So, if you ride dual suspension, you've probably noticed that rear shocks have a tendency to sit right in the path of all the mud, water, and grime coming off your back tire. That being said, you've probably also noticed that most rear shocks don't have boots... you can see where I'm going with this? Now, when this was replaced, I though to myself, "How do I prevent grinding my shock to pieces again?" What you're looking at is the most simple solution to a problem since...well, ever. Basically all that was required was the following ingredients. 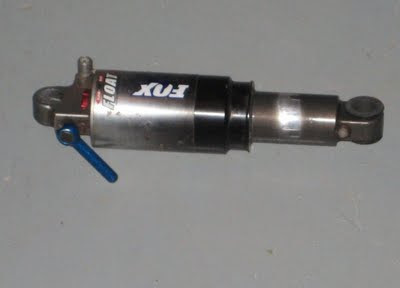 All you need to do is cut a piece of the tube that is long enough to cover the moving parts of your shock. Then zip tie it in place at the top and bottom. The nature of the tube allows it to form fit, and still stretch and flex without affecting the travel. The best part is that it's both water and mud proof.